Real estate brokers know that the best way to sell a home is to publish photographs that show it at its best. But the thing is, your time is precious, and that of your client and your real estate photographer is too. 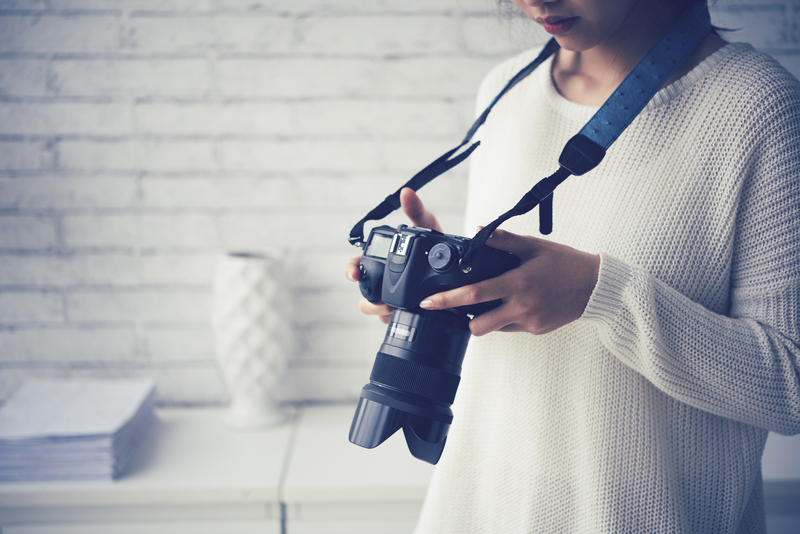 Fortunately, there are several steps that can be taken prior to a shoot to increase your chances of getting beautiful pictures that will attract more potential buyers. Share these tips and tricks with your customers to ensure a quick and successful photo shoot! Do the same in the backyard where bicycles, pool noodles or clothes hanging on the clothesline are out of place. According to the season, clear the snow, rake up the leaves or mow the lawn. There should be no plants or dead branches on the ground. Trim trees and shrubs to prevent them from disturbing the photographer’s eye by hiding house details. Many photographers will do touch-ups but if you want to avoid delivery delays or extra costs, be sure to remove stains on the house and driveway with a high pressure water jet. Clean the garden furniture and fill out flower beds by moving the plants and flowers around. Besides, make sure to pick up the dog’s “business” and pour salt on ice patches. You do not want to ruin your photographer’s shoes—or back! Wash mirrors to perfection, and do not forget the windows! It is best to wash them inside and out: to do so, it is recommended for the owner of the house to hire a professional window cleaning company. Finally, do not simply open blinds and curtains: remove them completely! The owner can take advantage of this opportunity to wash them, since they absorb the smell of smoke, cooking, animals and perfume, which could all disturb visitors later on. Note that the photographer may also ask you to remove the shower curtain. Walk from room to room to make sure that every light work. There should be no burned out bulb anywhere since the photographer might want to turn them all on to enjoy optimal lighting. Don’t forget to dust and wash the lampshades! If possible, remove mats and carpets. In addition to creating a distraction, they could give the buyer the impression that you want to hide something underneath—broken tiles, for example. Vacuum and clean the floors until they are spotless. Waxed surfaces will look in greater condition and help reflect light in a room. Polish cabinets and woodwork too. When shopping for a house for sale, buyers need to be able to project themselves into the picture they’re looking at. Personal items interfere with their imagination, which is why it’s best to remove sentimental objects such as family photos, sports trophies and children’s crafts. Clutter shrinks space and blocks light, so be sure that the photographer has a neat and clean space to work with: That will not only make the room look brighter, but it will allow potential buyers to imagine their own furniture and decorating effects in them. Clear away as much as you can. It doesn’t matter if the plants hanging from the ceiling are pretty: It would still be better to remove them. In short, strip down to avoid overloading the eye! Decor considered too extravagant or personal can scare off potential buyers who don’t recognize themselves. If possible, ask the home owners to repaint colourful or darker rooms in white or other light shades to make them look larger and brighter. Even if they don’t appreciate the makeover, they will move out shortly anyway! Walls that are already white could probably benefit from a fresh coat of paint as well, especially in a smoker’s house! Remove any bold or “unusual” decorative items (taxidermy, for example) of a house for sale to keep things are classic and neutral as possible. When cleaning a house for sale, you can never do too much. Even if the cleaning of a residence prior to a photo shoot doesn’t have to be as thorough as the one before a visit, any self-respecting real estate broker knows that it is not something that should be neglected! Thoroughly rub furniture, counters, shelves and appliances surfaces until they shine. Clean sinks and bathtubs, as well as the outside of the toilet (the photographer should close the lid before photographing the bathroom: If he doesn’t, do it!). Straighten the books in bookcases. Clean the fingerprints on the screens. Make the beds. If he has to photograph a dirty and poorly maintained house, a real estate photographer will not only be in a less pleasant mood, but he will also need more time and energy to stage the photos and Photoshop them later. You and your client will make better use of his services if the house is clean and tidy. In addition to attracting a large number of potential buyers, beautiful photos will also boost your reputation as a real estate broker!